With Patchwork you share your dream honeymoon with your wedding guests and they choose which part of the trip they’d like to treat you to. Why set up a honeymoon fund? Maybe you’ve been living together for a while and have all of the household ‘stuff’ you need, so a traditional department store gift list doesn’t feel like the right choice. Perhaps you want to ask friends and family to help fund your honeymoon. But want to remove the embarrassment of asking for cash direct and the awkwardness and security concerns guests feel when asked to give money. Why is Patchwork the best honeymoon fund? Named as the ‘gift list innovators’ by ELLE, Patchwork is the most stylish, secure and flexible honeymoon fund. It’s super simple to create a honeymoon patchwork that’s totally unique to you and it’s easy and fun for guests to give money in a way that’s meaningful. A joyful experience for everyone involved, Patchwork gives you cash contributions to book your honeymoon how and when you like and memories to treasure forever. 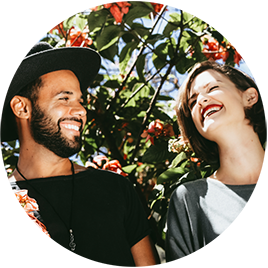 Free to set up: You don’t need to sign up to try out Patchwork and there’s no upfront fee to use our site so you can set up your honeymoon fund without any commitment. We simply charge a 3.6% commission when you start collecting funds. Direct access to funds: Patchwork does not hold your funds. 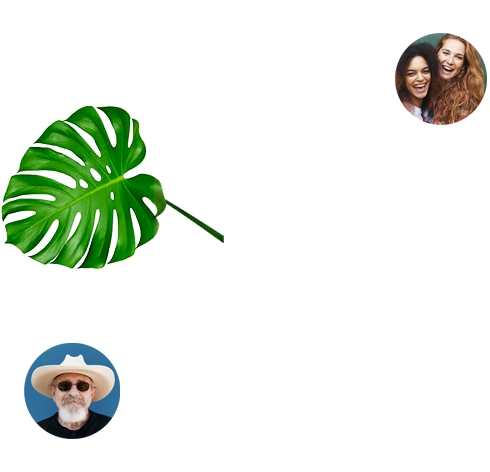 Instead contributions from guests go into your PayPal account and/or chosen bank account via Stripe giving you direct access to your money when you need it. You can compare our partner fees here. Independent of travel agents: Because Patchwork is not tied to any particular travel agent you are free to use your collected funds to book your honeymoon when, where and how you like. Cash in any currency: You can receive Patchwork funds from friends and family all over the world and can set the currency you’d like to receive your funds in when creating your patchwork. Patchwork supports all currencies supported by our global payment partners PayPal and Stripe. Unique Patchwork experience: Our platform lets you show your wedding guests your dream honeymoon as a patchwork of individual experiences, so they can choose which part of your trip to treat you to - whether it’s £2 for beers on the beach or £200 for a tandem skydive. You can share your honeymoon plans in as much detail as you like using your own words and images so your friends and family will feel really involved, excited and able to share in your adventure. Why do stylish, savvy couples choose Patchwork for their honeymoon fund? Style-led and super flexible design: Patchwork has been beautifully designed with completely customisable templates and complementary colours so it’s not going to clash with the invitations and/or wedding website that you’ve so carefully chosen. 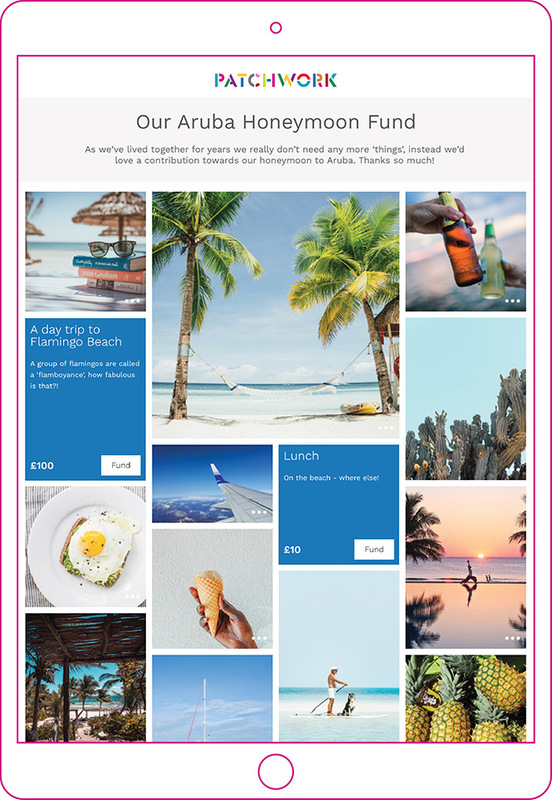 100s of honeymoon templates: Our huge collection of beautiful honeymoon templates make it super easy to set up a honeymoon fund for any destination. If you choose to customise one of our readymade patchworks all you need to do is add your own title and welcome message and link a payment method and you’re ready to go. Alternatively, if you want to make your honeymoon fund from scratch, you can. Just choose images from our gallery or upload your own photos to represent all the experiences you’d like to enjoy while on honeymoon - adding titles, descriptions and prices as you go. Keep track of contributions: You can set email notifications to alert you when someone buys a piece of your patchwork. You can also keep track of contributions (and download a spreadsheet) from your account containing everyone’s name and email address, what they’ve bought and how much they’ve spent as well as their home address if they chose to leave it. Messages from friends: Friends and family can leave a public message with their gift which will show up on your patchwork page along with a photo of themselves if they chose to leave one. You can set your messages to public or private and send replies to individuals and groups of friends from your account. Saying thank you: When creating your patchwork you can prepare an instant thank you message that everyone will receive when they contribute towards your patchwork. Then once you’ve enjoyed your honeymoon you can upload photos to your account to send along with a thank you message to all the people who funded each specific experience. You can also send printed thank you cards with our print partner Moo, who offer all Patchwork couples a 20% discount on their services. How do I set up a Patchwork honeymoon fund? You don’t have to make an account in order to start making your honeymoon fund, so if you want to give it a try you’re able to do so with no commitments. 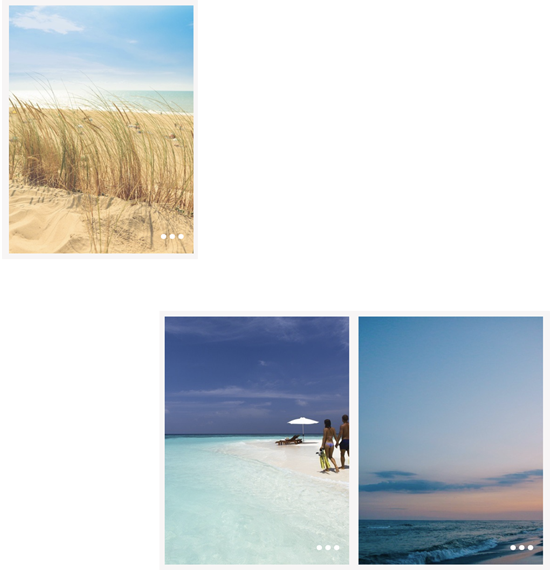 The easiest way to create your patchwork is to customise one of our many honeymoon templates featuring over 100 destinations from all around the world. However if you want to create your own honeymoon patchwork from scratch you can do that too. Either way, you’ll need to start by giving your patchwork page a title. You can then write a short welcome message introducing your wedding guests to your honeymoon page. You can also add your own banner image to personalise your page and add an event date if you like. If you’ve chosen to customise a readymade honeymoon template you can personalise your patchwork by tweaking the titles, descriptions, quantities and prices of each ‘patch’. You can also move patches around, delete those you don’t want and add new ones to your page. If you’re starting your patchwork from scratch you can ‘add a patch’ using your own photos or choose images from our gallery. You then simply add a title, description and price for each patch and set a quantity if you like i.e. ‘2 return flights’, ‘7 nights in a hotel’, ‘1 bottle of champagne on arrival’. When you’re ready to share your honeymoon fund with your guests you’ll be prompted to personalise a unique URL and link your PayPal and/or Stripe account so you can collect funds direct. You’ll also get the opportunity to compose a thank you message that will appear when one of your wedding guests sends you a gift. Then you’re ready to share! You can print invitation inserts with our partner Moo, send your URL out via email, or link up your honeymoon fund page to your wedding website. How will my honeymoon fund work for my guests? Your wedding guests don’t need to create an account or use a code to access your honeymoon fund, all they need to do is enter your unique URL into their browser and they will go directly to your page. If they lose your URL they can also search for your page on patchworkit.com using your name or email address. They then simply choose the experiences they want to fund from your patchwork and add them to their basket. Then they can leave a message along with a photo of themselves to appear on your Patchwork page. It’s up to you whether you want to receive your honeymoon funds into your PayPal account or into your bank account via Stripe. Choosing to link your patchwork to both these payment options makes it super easy for your guests who can then choose whether to pay using a credit/debit card via Stripe or login to PayPal to transfer funds directly into your PayPal account. Once they’ve bought your gift they will see your thank you message appear on the page and will also receive a receipt for their gift from Patchwork via email. Unlike other honeymoon funds, we don’t hold your funds. Instead, all cash contributions come directly to your PayPal account, at which point we deduct our 3.6% commission. Find out about fees here. When should I set up my Patchwork honeymoon fund? If you want to plan your honeymoon well in advance you can book and pay for it on a credit card, then create your honeymoon fund as a way to pay off the balance. Alternatively, you can set up your honeymoon fund first, and then book your trip once you’ve collected your funds and know how much you have to spend. With Patchwork you can be specific about all the details you have already organised - ie. the specific hotels you want to stay in. Or just present an idea of your dream honeymoon - i.e a room with a view. Either way, your wedding guests can help you pay for the big things like flights and accommodation and the little things cocktails, ice-creams and bus tickets. How can I keep track of contributions and send thanks? You will be alerted by email when anyone buys you a gift. But you can also set your notifications to receive alerts daily, weekly, monthly or never. You can download a CSV so you have all this information in a spreadsheet. You can contact people individually or as a group via your account and send thank you messages along with photos of you enjoying your gift. Sending thanks via email is free and if you want to print thank you cards we can offer you a 20% discount on printed postcards with our Patchwork print partner, Moo.